Welcome to Apollonia Dental Long Beach – The Office of Long Beach Dentists Dr. Joseph Marvizi, DDS & Dr. Rosita Rayhan, DDS. Our Long Beach dentist office is located in the Bixby Knolls area, where we provide free parking to everyone who visits our dental practice. With our state-of-the-art “Same Day Dentistry” procedures, we are able to fix your teeth and give you a beautiful smile all under one roof here in Long Beach. Board Certified Implantologist and Elite Invisalign Provider Dr. Marvizi will replace your missing teeth in just one day, and will straighten your crooked teeth without metal or wire. He is also board certified in Conscious Sedation Dentistry so there is no need to fear, you can relax and virtually sleep through your dental visit. End the Embarrassment From Having Missing Teeth! With our specialized “Teeth In A Day” dental implant procedure, Long Beach dentist Dr. Marvizi can replace your missing teeth in just one visit. With all of the necessary procedures being handled under one roof here at our Long Beach dental office, you will walk in with missing teeth and walk out with a new smile. If you have one or more missing teeth, Dr. Marvizi is a Board Certified Implantologist with years of experience in dental implant restoration, and is committed to getting you smiling and chewing again. With our Conscious Sedation Dentistry services here in Long Beach, we will make sure you experience a deep relaxation with virtually no tension or discomfort throughout your dental visit. Long Beach dentist Dr. Marvizi is an Invisalign Elite Provider and will straighten your crooked teeth without metal or wire. People won’t even know you’re wearing these clear teeth aligners that are removable and easy to clean. Unlike traditional metal braces which have sharp edges that can cut your lips and gums, Invisalign aligners are made from a smooth plastic material which is far more comfortable in your mouth. Since they are removable, you can take pictures, go to social events, and eat any kind of food you want. Here at our dental practice in Long Beach, we understand how a tight budget could make you put off the dental procedures that you need. Our solution will get you back to smiling and chewing normally again. If you wake up tired and are exhausted throughout the day, are suddenly awaken by your own snoring, or if you experience headaches and fatigue, you may be suffering from sleep apnea. 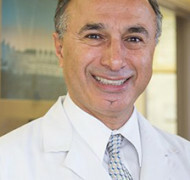 Long Beach dentists Dr. Marvizi and Dr. Rayhan can help you get a better night’s sleep. Download the Sleep Health Questionnaire. It is our goal to nurture our dental patients in maintaining strong oral health through careful planning, patient education and technical excellence. Please call our Long Beach dentist office today to schedule an appointment and we look forward to meeting you and your family so we can help you achieve optimum dental health. "Rating: 5 "Great place, beautiful office, funny and friendly people that work there. They helped me relax, I love Shameka, so helpful and sweet, would recommend going to Apollonia Dental Long Beach." 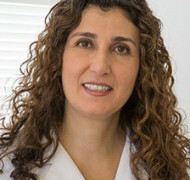 –Laquona L.
"Rating: 5 "I have been going to Dr. Marvizi for more than 20 years. He did veneers for me and they are gorgeous. He has exquisite taste and does a very professional job." –Savannah B. "Rating: 5 "This dental office is a great place, with an exceptional staff from the front office to the hygienist to all doctors. Definitely check this place out. Excellent!" –Ed C.
"Rating: 5 "The doctors are a great team. Dr. Rayhan is beautiful and warm. She has a really calming presence. She's knowledgable and will go to any length to ease my dental phobia." –Erica B. "Rating: 5 "Truly the best dentist! I have always received superb care over the many years that I have been his patient. He and his staff are caring, supportive and very knowledgable!" –Joan B.